The Anti-Defamation League (ADL), a Jewish non-government organization that fights hate crimes, has called for Rep. Rashida Tlaib to explain her relationship with a pro-Hezbollah, anti-Israel activist on Thursday afternoon. 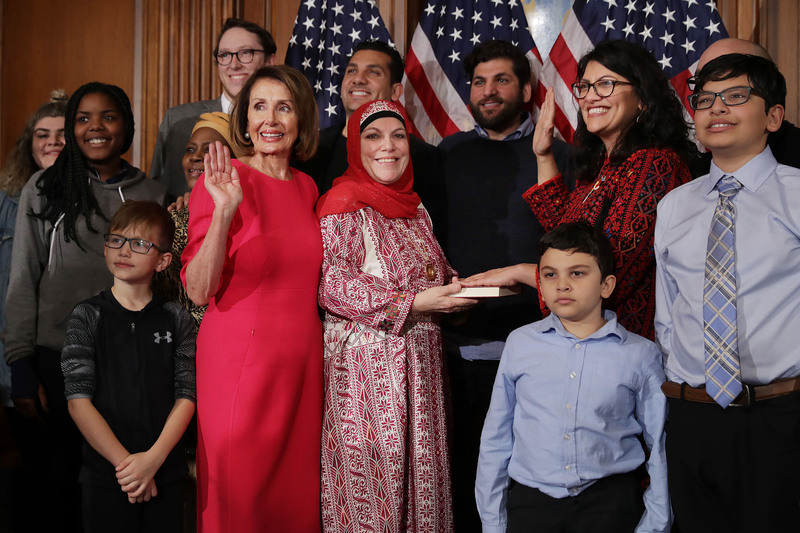 Abbas Hamideh, the executive director and co-founder of Al-Awda: The Palestinian Right to Return Coalition, tweeted a photo of himself with Tlaib about a week ago, claiming that he attended her swearing-in ceremony two weeks ago and a private dinner afterward. The photo features the two of them holding a painting of Tlaib in front of the U.S. Capitol Building with an American flag as the background. An ADL blog post updated on Thursday reveals multiple examples of Hamideh praising anti-Semites and anti-Israelis. In particular, he condemned Muslims who were uniting with Jewish people following the murder of 11 Jewish people in a synagogue in Pittsburgh back in October. TheDC has previously reported that Hamideh has claimed on Twitter that Israel does not have a right to exist. He has also praised Hassan Nasrallah, the secretary general of Hezbollah — a group classified as a foreign terrorist organization by the U.S. and several other members of the international community. Rep. Tlaib’s office did not respond to a request for comment.